3. Put the pumpkin in the oven with a splash of olive oil, on baking paper. Set the timer for 40 minutes. 4. When the pumpkin is easy, quickly boil 1/4 cup water in a frying pan then throw the spinach in until just wilted. Drain excess water. 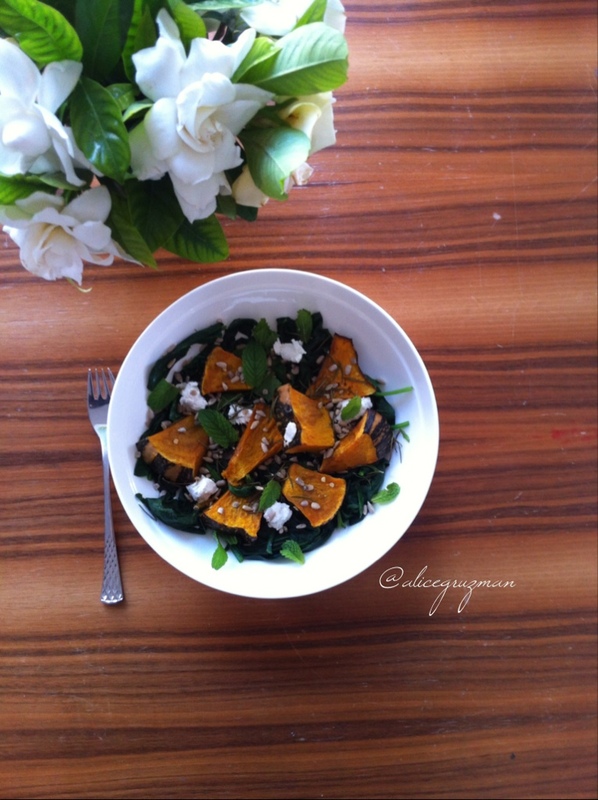 This entry was posted in Recipe and tagged chèvre, cleaneating, glutenfree, Health, healthyeating, iqs, pumpkin, refinedsugarfree, salad, spinach, sunflowerseeds, vegetarian by 6 Clean Ingredients. Bookmark the permalink.